We were exploring the hills around Ascoli Piceno and saw on the map the small hill town of Ripatrasone; the map noted it is supposed to be surrounded by walls so off we headed. There were some walls around this hill-top town but not completely circling the town. This was still a charming medieval town with beautiful views of the surrounding hills covered with grapes and olives, the vendemmia has not started in this part of Italy. As we walked through town we noticed a sign for the smallest alley in Italy so we had to see what this was as there are so many narrow alley-streets in this country. After a couple turns we found it connecting two streets and it is no more than two feet wide. 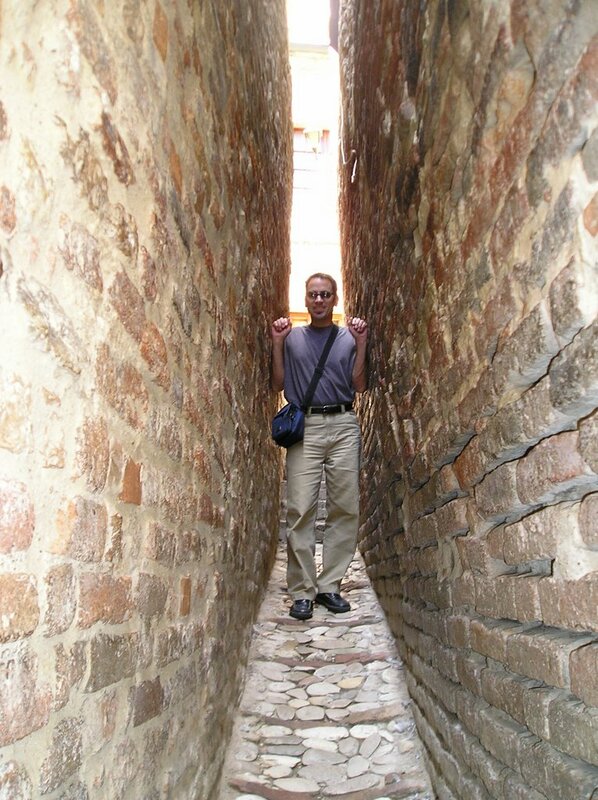 I could easily imagine a lot of people would not be able to use this alley as they just wouldn’t fit. 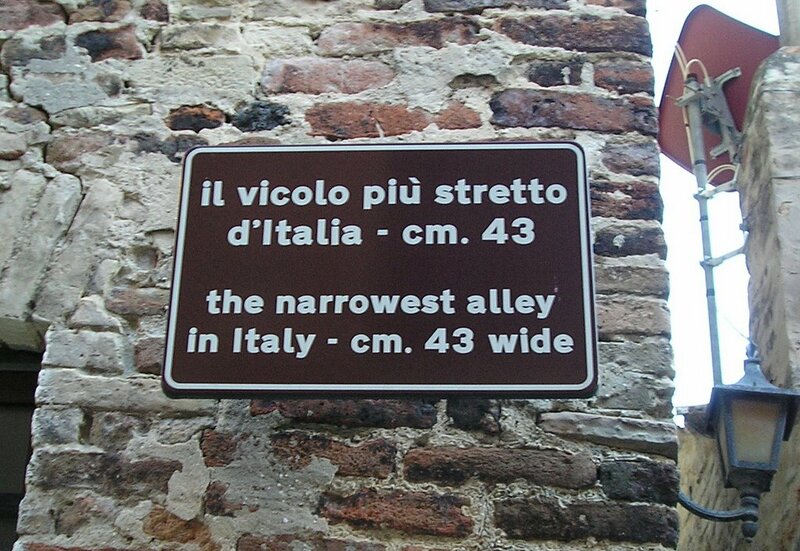 the smallest alley in italy! that's very cute. I think I went to Ripatrasone...is it very near to Moresco? if you haven't already, visit the town of Montefalcone, near Force. It's very cute and has wonderful views! Stelle, Ripatransone is west of Grottammare. We have Montefalcone on our list to visit.